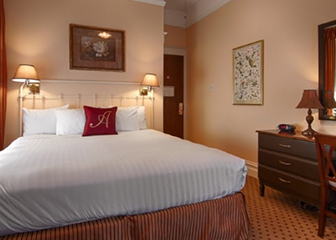 Feel like you're spending your time in a European inn right here in San Francisco when you stay at The Andrews Hotel. 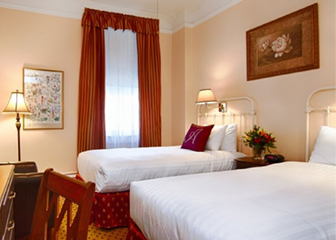 With pastel walls, lace curtains, luxurious beds, and leather chairs, you'll almost think you have left the country. 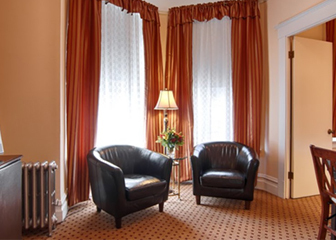 Mornings are civilized at The Andrews Hotel. 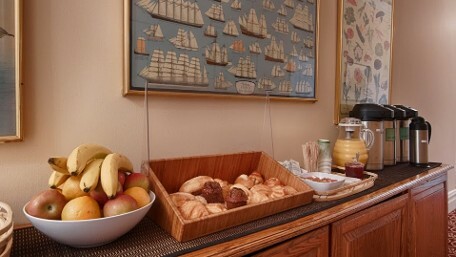 When you rise and step outside your room, you will find a complimentary continental breakfast buffet of freshly baked croissants and muffins, Weaver's coffee, assorted teas, fruit juice, and seasonal fruits. Eat up! 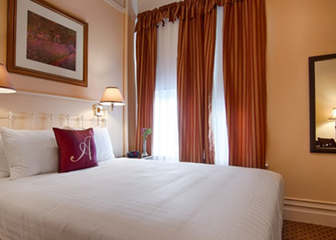 You'll need energy for all the exciting activities San Francisco has to offer. Check-in time is at 3:00 p.m., and check out time is at noon. 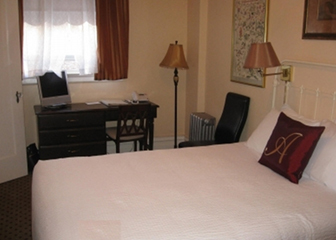 The first night's lodging must be guaranteed by credit card when booking your stay. We gladly accept Visa, MasterCard, and American Express. 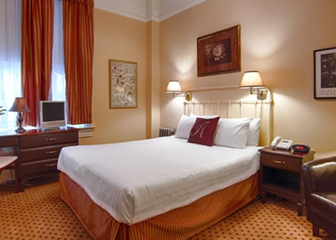 For the best possible rates and special discounts for hotel rooms, call our reservation line at (800) 926-3739, or book online. If you wish to cancel, you must call at least 48 hours prior to your scheduled arrival or you will be charged for your first night's stay.